From lechon to chicharon, longanisa and sisig to dinuguan, pork dishes are a staple element of Filipino cuisine. What many travellers may not realize, however, is that to the Filipinos, every single part of the pig is edible and delicious. Lechon, of course, is an entire pig roasted on a spit. Longanisa is a sweet, semi-salty dish of pig intestines, molded into a reddish-brown sausage shape. Sisig involves both pig ears and boiled snout, and is braised, fried, and finally served with rice. And dinuguan rounds out the table as a savory, black-brown stew made with pig blood, chili and vinegar. 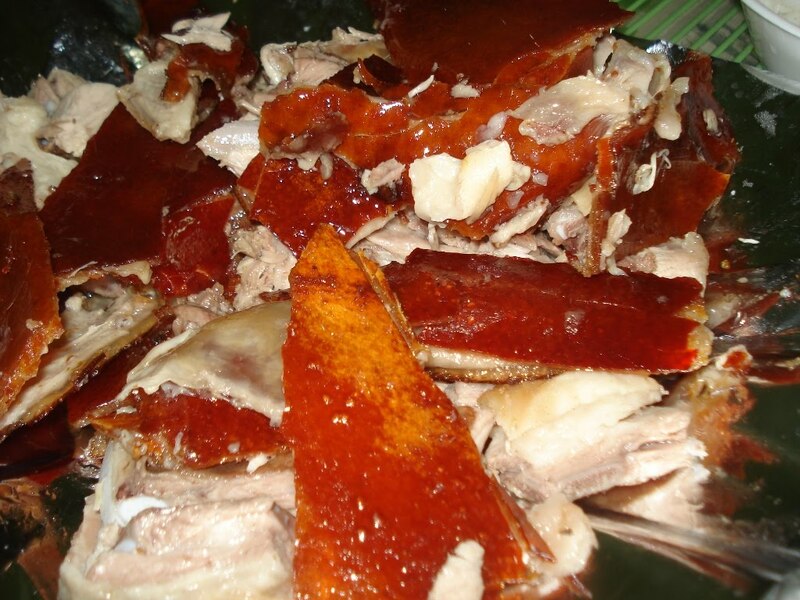 These few dishes are representative of the vast “pig cuisine” here in the Philippines. There are a couple reasons for such profuse pork cookery. The Philippines has one of the largest numbers of endemic pig species in the world, with four kinds of wild pigs native to the country. The Visayan warty pig, the Philippine warty pig, the Mindoro warty pig, and the Palawan bearded pig have roamed Philippine jungles for hundreds of thousands of years, giving Filipinos an easy and quickly replenishable food source. Spanish colonization also promoted pork dishes. Spanish foods such as the Cocido Madrileño stew, similar to the dinuguan, and the chorizo, a more savory version of the longanisa sausage, are evidence of the Spaniards’ role in pork proliferation. American Thanksgiving, to remember past traditions and cuisine. So many international cuisines and culinary traditions are connected, in one-way or another. The next time you sit down to a plate of lechon or sisig, just think about the dish’s significance, both within the context of Philippines history and in relation to today’s intertwined cultures.